Melissa abused drugs her entire young life. These drugs told her lies and stole her dreams. 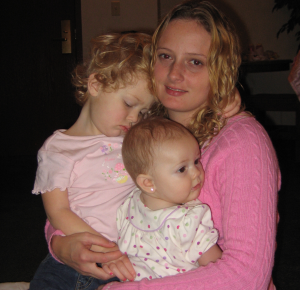 It took DCS (formerly CPS) removing her two older children from her care to motivate Melissa to get sober. She was in the midst of a severance trial prior to entering The Bridge, and she came to The Bridge to learn how to live life sober and create a new future. Eight months after entering The Bridge Melissa celebrated the return of her children to her care when the court reversed the severance. It was one more victory on her path to wholeness and healing. The Bridge assisted her in preparing to receive the children in her home, and learn how to move forward without hating herself for the time she lost with them. While with The Bridge, Melissa obtained her GED and received her education in Administrative Assistant Training. 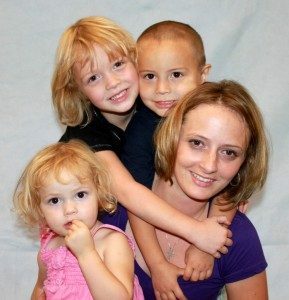 Today she is in stable housing, providing for her family as a single mother. She is also a member of First Southern Baptist Church of Scottsdale, the church that sponsored and mentored her when she was at The Bridge. We look forward to seeing Melissa continue to grow and blossom on this journey she’s chosen to take.